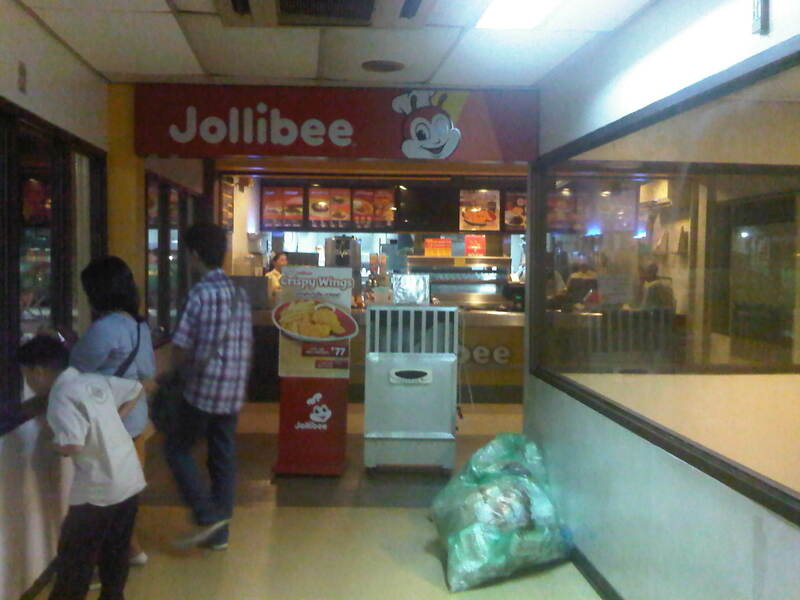 A reader brought to my attention some traffic problems encountered along a section of Imelda Avenue in the vicinity of a major retail chain’s branch. There are experiences of traffic congestion along the section fronting the SM Hypermarket from across the Village East subdivision. However, the commercial development and the traffic generated is not really new since the hypermarket replaced another similar establishment (Makro). Arguably though, the trip generation rates of SM developments can be higher than their competitors considering their branding and customer preferences based on traffic experience around SM malls. Following are some specific observations and comments for the case of Imelda Ave. in the vicinity of the SM Hypermarket along the highway. 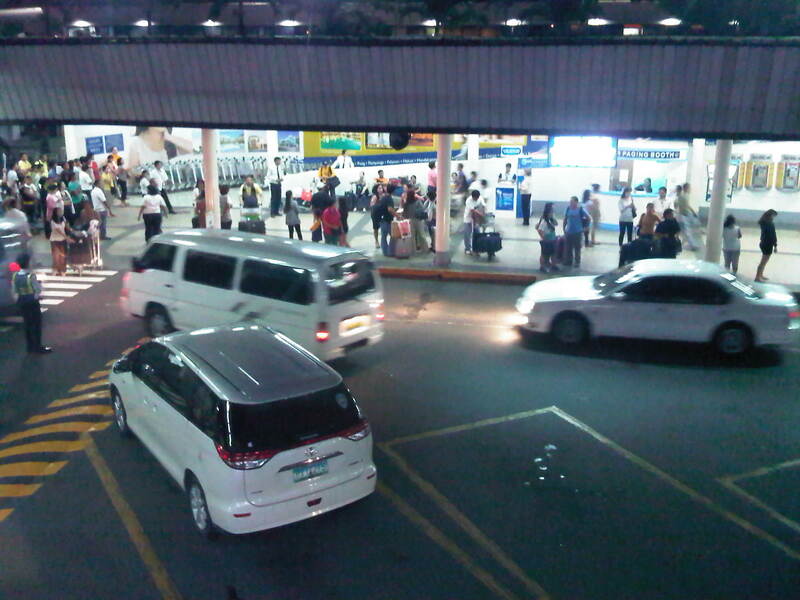 Congestion in the previous photo turned out to be caused by jeepneys loading and unloading passengers in front of the commercial development. 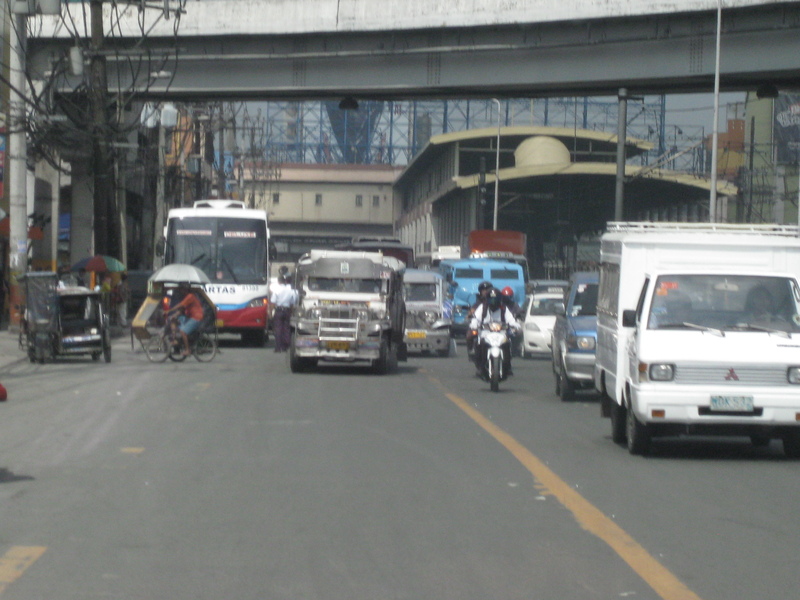 Jeepneys tend to occupy the outer lane of the highway, significantly reducing road capacity thereby causing a bottleneck leading to congestion propagating upstream. 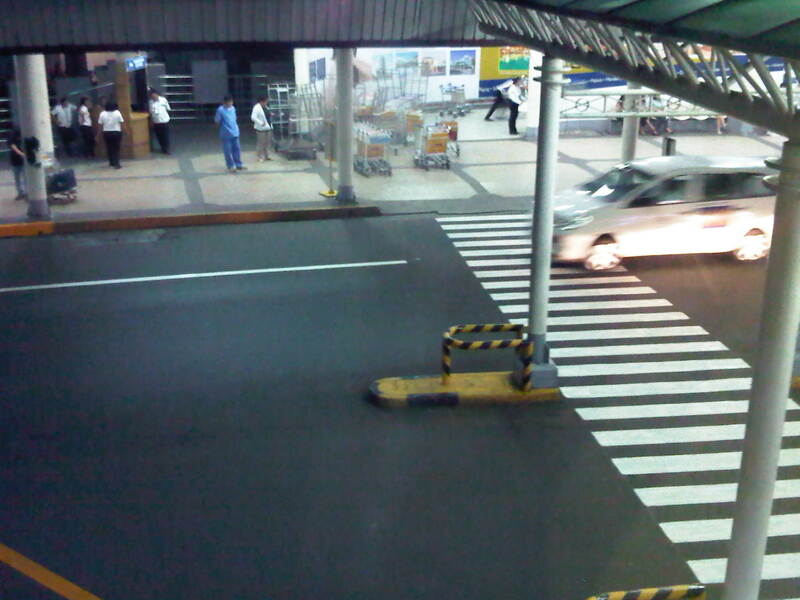 There is actually a loading/unloading bay on the Hypermarket side of the road but jeepneys do not use this and almost always stop in the middle of the road. 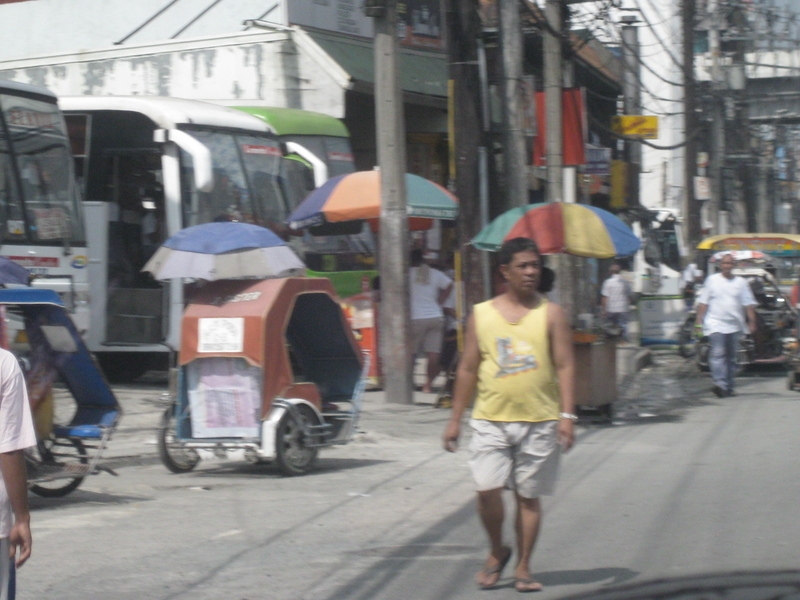 There are also tricycles using Imelda Ave. despite the regulations prohibiting them from national roads. The tricycles serve the residential subdivisions along the highway but used to be the main mode of transport along an unfinished Imelda Ave. from the 1970’s and competed directly with the jeepneys from the 1980’s one the connection between Ortigas Ave. and Marcos Highway had been made, leading to the opening of new jeepney routes through Imelda Avenue. The bottleneck for this section is along both directions as jeepneys stop not only for the Hypermarket but also for the residential subdivision (Village East) that is located just across from SM. The gate of the village opens toward SM with traffic generated significant enough to create a 3-leg intersection at the subdivision access/egress. This is an unsignalized intersection that has no enforcer to manage traffic, leaving it up to the motorists to determine acceptable gaps for conflicting movements. Compounding the situation are pedestrians crossing just about anywhere along the road like the people shown in the photo above. The issues mentioned above are not all unique to the location but are often the case for many other places where there are major traffic generators such as malls, supermarkets and even residential developments. In fact, middle class villages are major traffic generators due to the car ownership but they are usually predictable in terms of peak periods. That is, the morning and afternoon/evening peak are well-defined according to office or school hours associated with residents (i.e., “to school,” “to work,” and “to home” trips). The solution, of course, is quite basic though not so simple – traffic management in the form of personnel who will enforce traffic and manage intersection flow. It is basic because it is a solution that’s definitely “in the box” and traditional or conventional. It is not simple because often, there is a lack of qualified personnel who can manage traffic full-time, and competent to firmly enforce traffic rules and regulations in order to effect behavioral change (for the better) among motorists and pedestrians. Granted, the commercial development should take the initiative to manage traffic and these may be recommendations already made when a traffic/transport impact assessment was conducted prior to the construction of the Hypermarket. Such assessments should have included traffic forecasting (estimating future traffic) in order to determine potential traffic congestion in the area and the formulation of site specific and appropriate mitigation measures. Perhaps there is a document somewhere (EMB?) that Cainta may use as a guide for how to address transport and traffic problems in the area due to the presence of the supermarket. If none, then the burden will be on the local government to study the traffic and come up with a strategy on how to lessen the detrimental traffic impacts of development in the area. Our undergraduate students are presenting today and are divided into two groups: those presenting research proposals under the CE 190 course and those presenting the outcomes of their research implementation unse CE 199. Following are topics related to transportation as administered by their respective groups under UP Diliman’s Institute of Civil Engineering and associated with the University’s National Center for Transportation Studies (NCTS) and the Building Research Service (BRS). I have gone around Bangkok in the past using the BTS Skytrain, buses, taxis and once using the tuktuk. 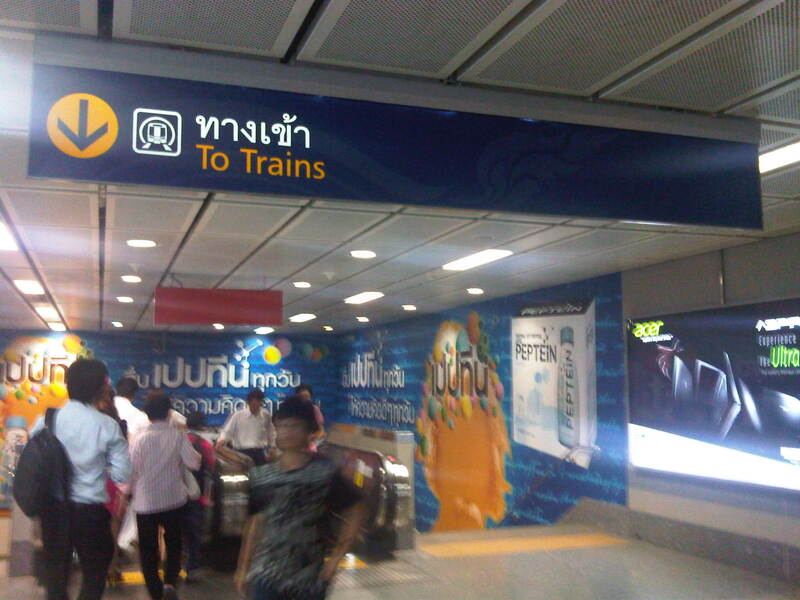 I have only used the subway once as it has only one line and in the past trips to Bangkok I really didn’t need to use it considering most of my destinations were within walking distance of a Skytrain station or required the services of a taxi. 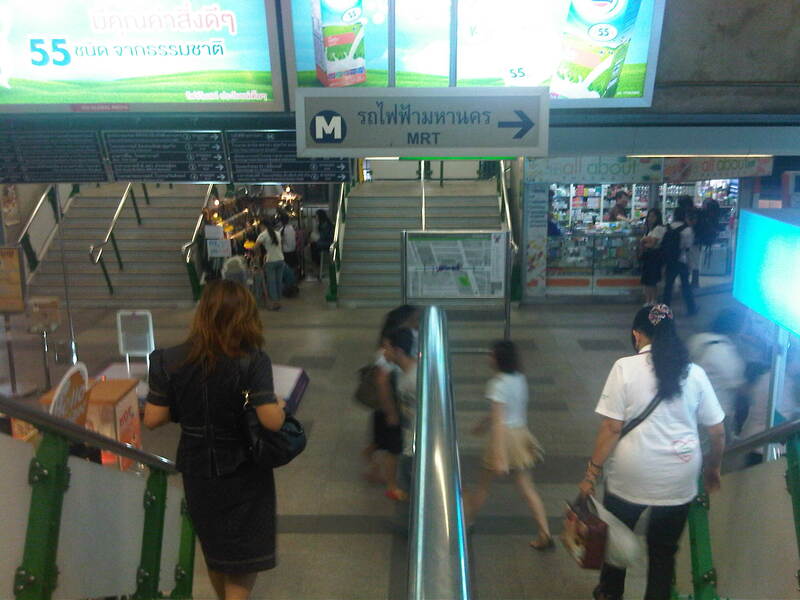 And so I took the opportunity to take some photos at the Bangkok Metro during one commute to meet up with a friend. 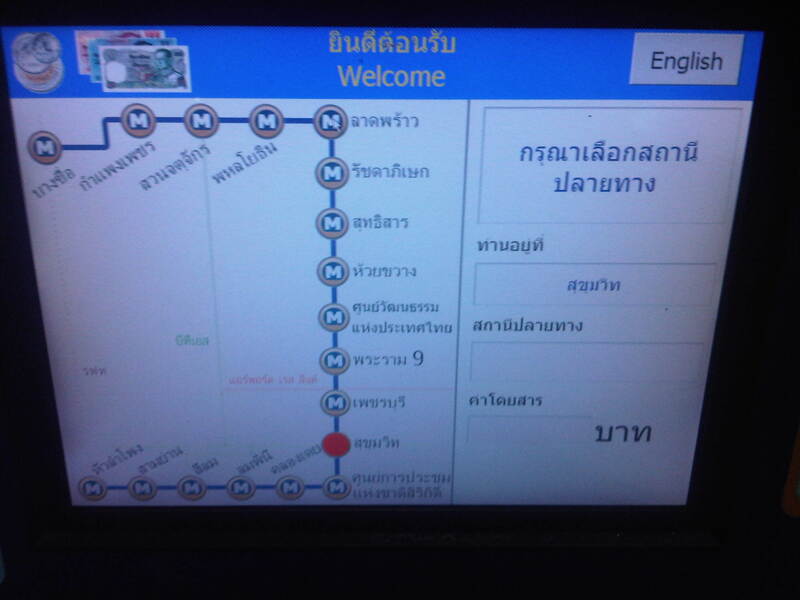 User interface for the Bangkok subway – commuters who can’t read Thai may opt to go for the English option. Unfortunately, the MRT’s system is not integrated or compatible with the Skytrain’s and so I could not use my Rabbit card for my fares. 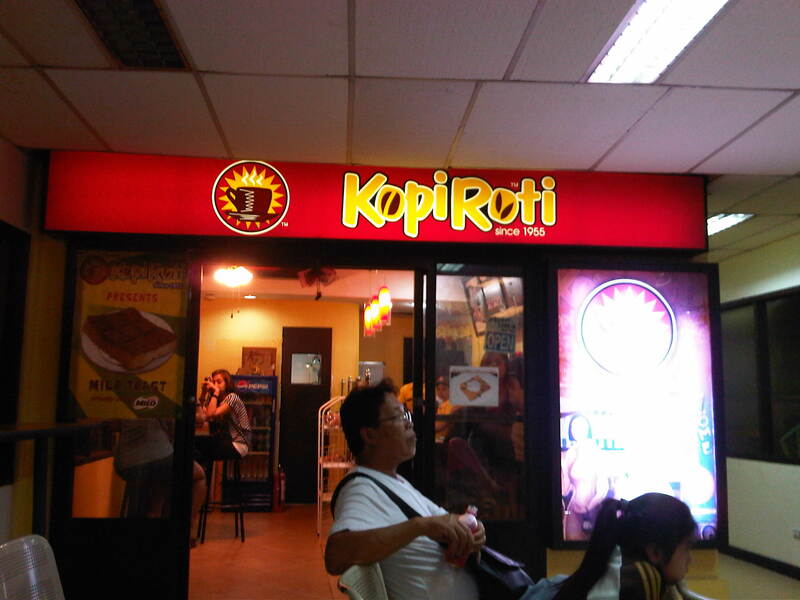 I think the MRT should work on this as it would be to their advantage. 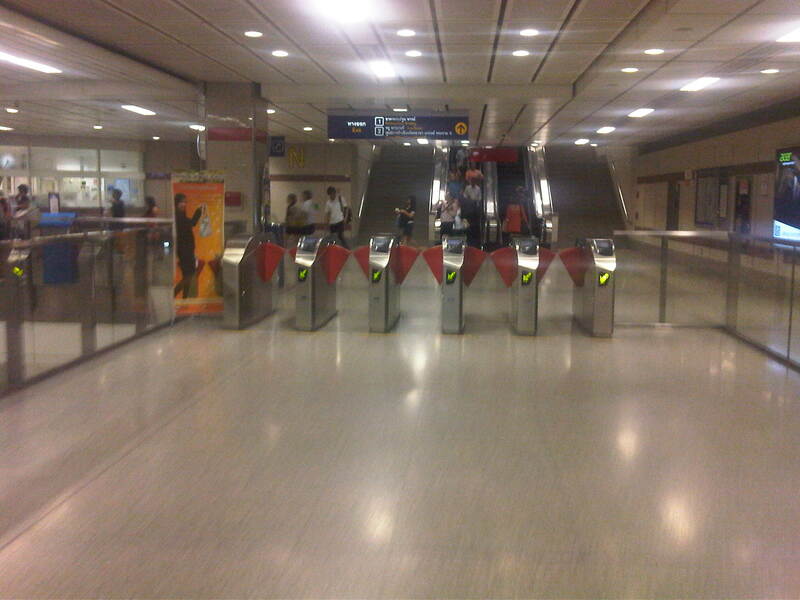 The station is spacious and there seems to be still few passengers using the subway – Fares have been criticized before for being expensive compared to bus and Skytrain. 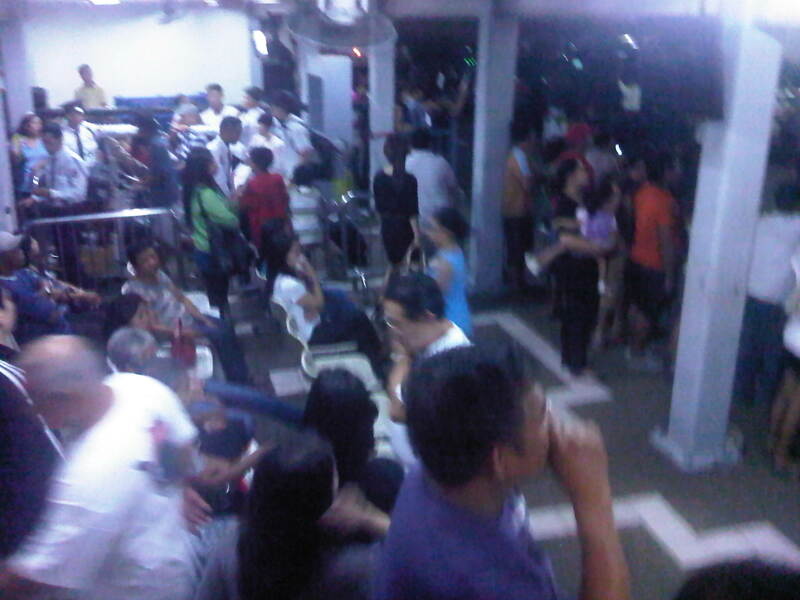 As such, the system is not as crowded as Singapore’s MRT or the Philippines’ elevated rail systems. 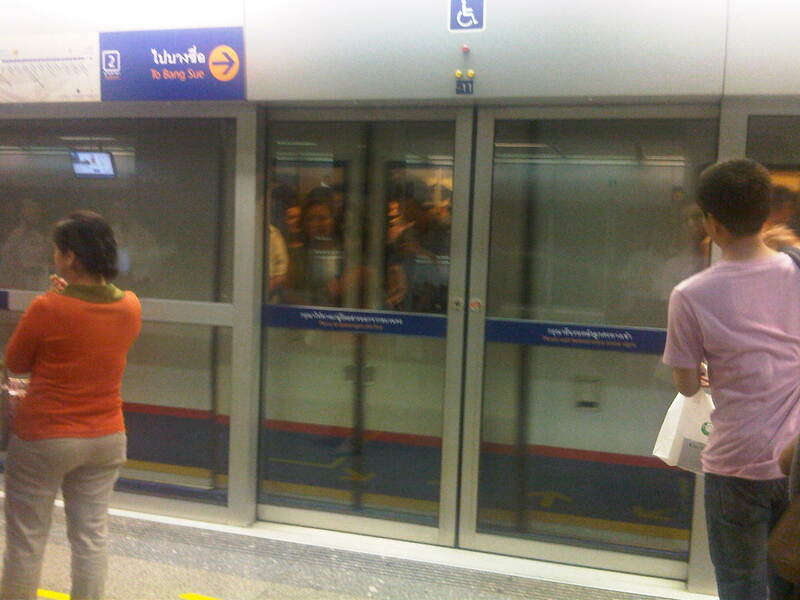 Platform doors are synchronized with the train doors, ensuring safety for commuters. I think the Bangkok subway is still a good option along the corridor it serves though it would be better if it is extended to increase its reach and consequently its ridership. 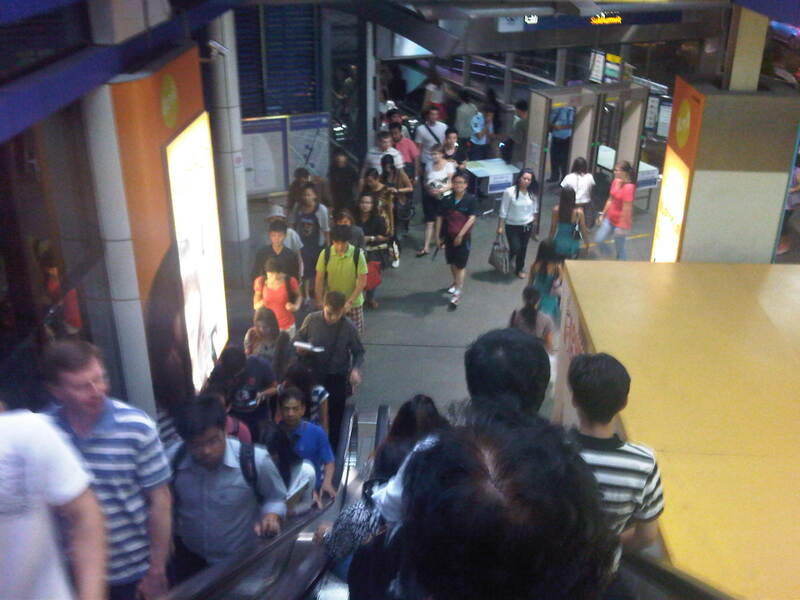 Issues on inter-connectivity with other modes especially the Skytrain have been addressed to some extent but remain. Its most difficult challenge pertains to fares and is something that would probably be difficult to tackle given the financial implications but is necessary to encourage more people to use it regularly. 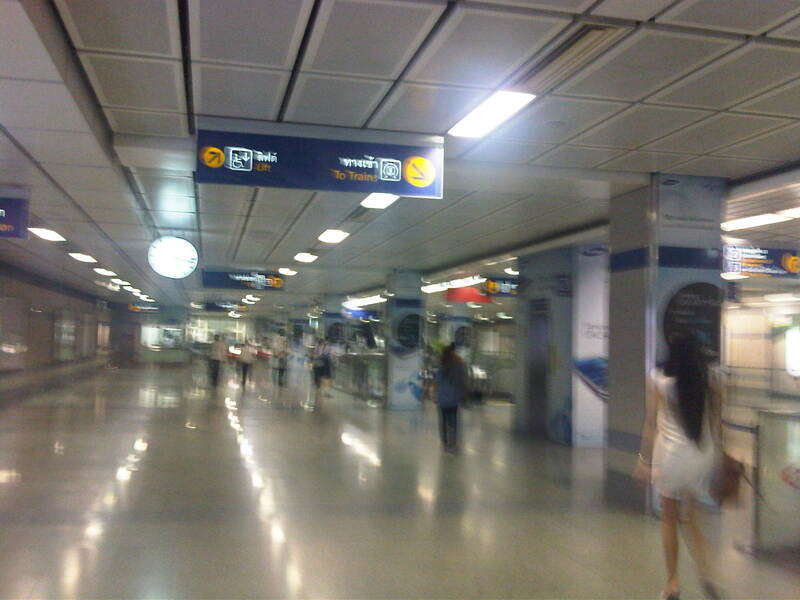 The first time I traveled to Bangkok in 2002, the international airport was still at Don Muang, which is to the north of the central business district. A few years and few more subsequent visits later the international gateway was moved to the new Suvarnabhumi International Airport located to the east of Bangkok. It is the 4th largest single terminal in the world and has the tallest control tower of any airport. 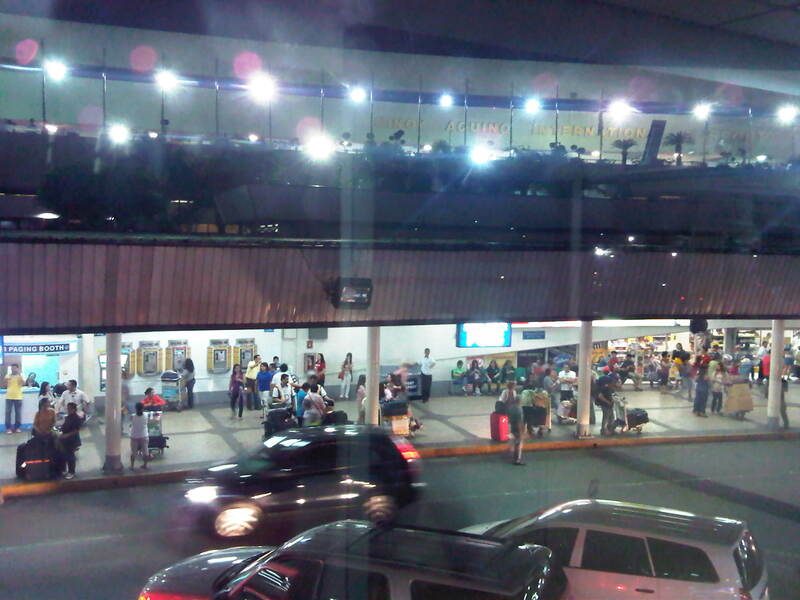 At the time of the transition from the old airport, there were already other infrastructure in place or being constructed for an efficient connection to the metropolis. These included an elevated expressway and an airport rail link. 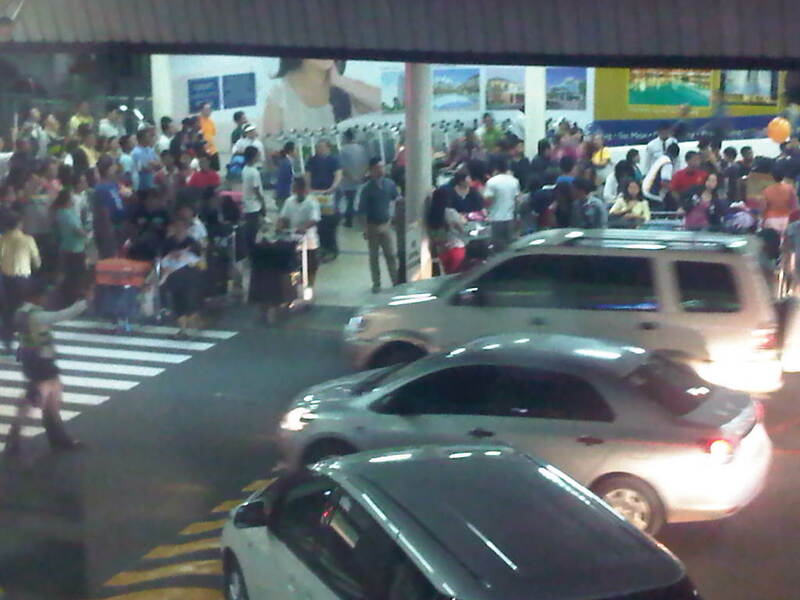 Both cut down travel time between the airport and Bangkok’s CBD significantly. I was able to use the expressway several times in my previous visits to Bangkok but was only able to use the rail link recently. It is a good option particularly when arriving during the peak hours when traffic can still terrible along Bangkok roads and when your destination happens to be accessible via the BTS Skytrain to which the rail link connects at Phaya Thai station. Following are a few photos taken upon my arrival at Suvarnabhumi after something like 5 years since my last visit to Thailand. Long walks – the airport terminal is basically linear and moving inside the terminal would probably require one to use the many moving walkways especially if one is in a hurry to board or for a transfer. 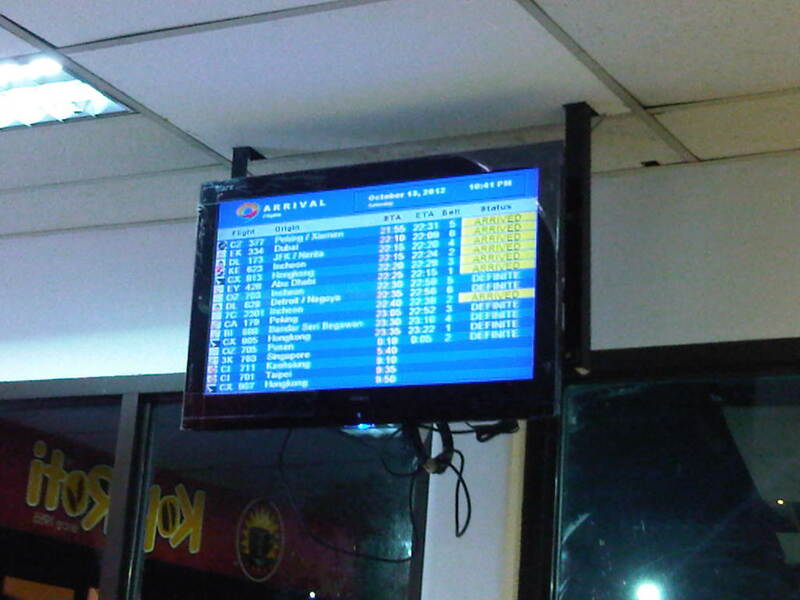 Arrivals – information board for arriving aircraft are useful to people picking up friends or clients. 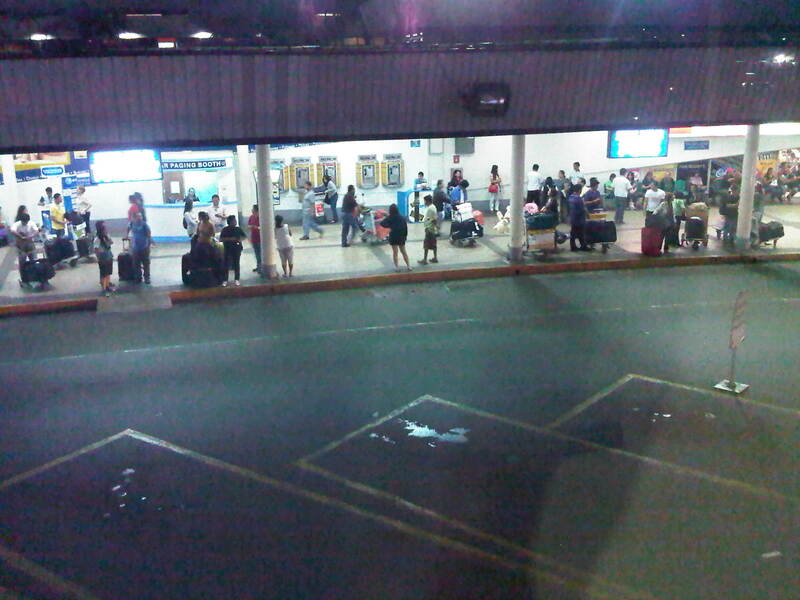 Airport concourse – the spacious airport terminal provides enough room for moving around. There are information booths for visitors/tourists as well as those catering to currency exchange, transport services, souvenirs, and snacks. 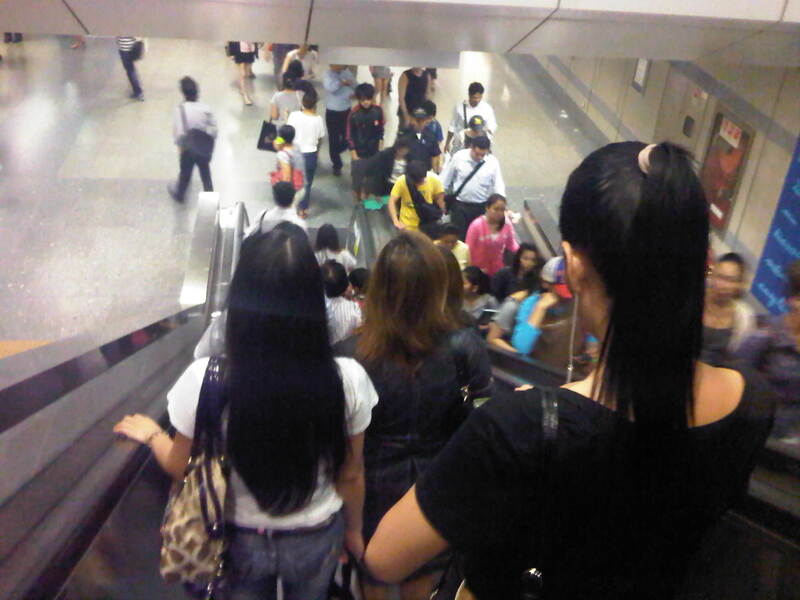 Up and down – escalators and elevators are available for the convenience of airport users particularly when traveling to or from the rail link. In transit within – heading to the airport rail link, travelers will be guided by the signs along the way. 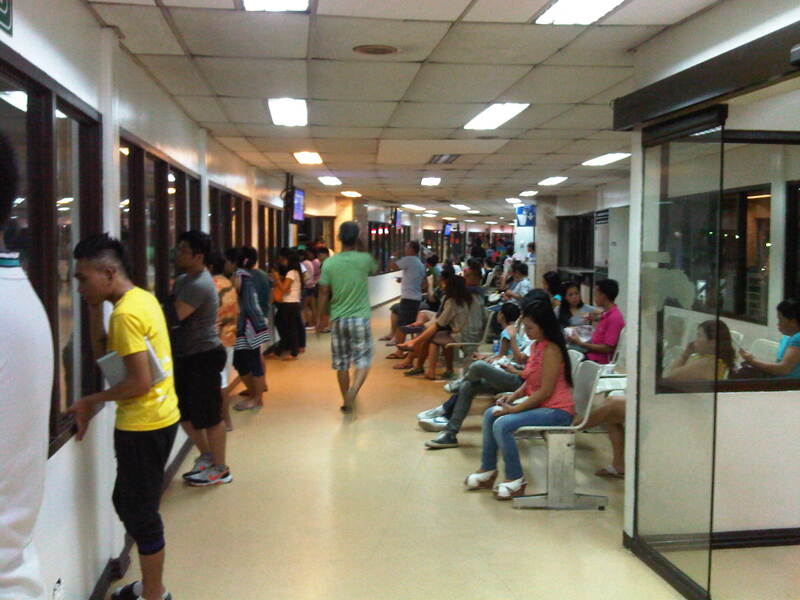 I will post more photos later of the interior of the passenger terminal. There is not much difference between the terminal as I remember from the last time I was in Bangkok 5 years ago and this recent trip. 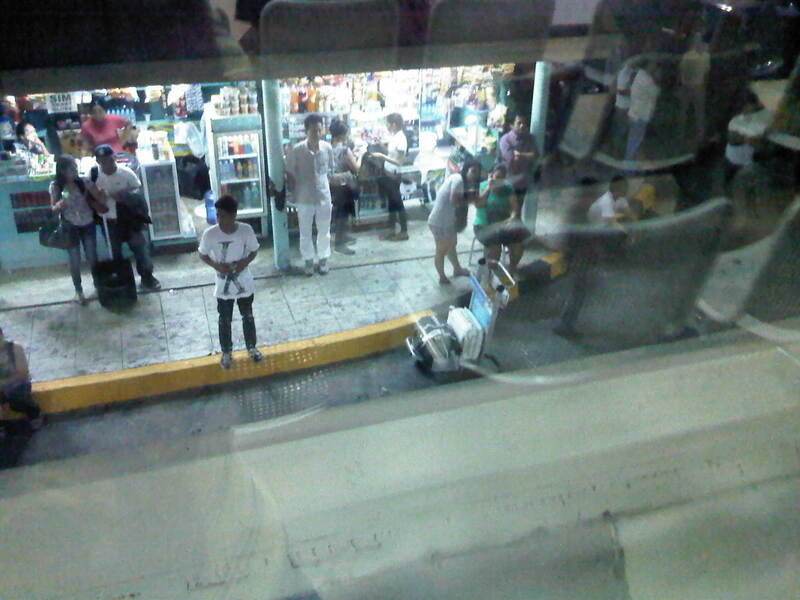 This will be obvious in the next post on the airport.